Before you even think of hiring an SEO agency you have to be sure that you have made the right decision. If you hire a SEO company that doesn’t know what they are doing (and let’s be perfectly frank here, most SEO agencies are simply out for your money and do not know a thing about the latest Google updates or how to effectively rank your website, you are going to end up seriously hurting your business and any chance of being competitive online – essentially, you can kiss your Google rankings goodbye. Your prospective SEO partner must have a thorough knowledge of all facets of SEO and the following questions are a good way to sort the good from the bad. If you find that they are umming and erring and evading answering these then simply move on. These questions are SEO basics and anyone with an intimate knowledge of SEO should be able to handle these easily without breaking a sweat. I really want to highlight a point here if you are doing the ring around looking for an SEO agency. You will most likely end up speaking with a sales person who is great at getting your business BUT has no experience with SEO. Once you sign up, your work is then handed to another person who takes a cookie cutter approach to your internet marketing and SEO. This is where the problems start. So before you make any commitments make sure that the person you speak to over the phone is confident enough to handle these simple questions. I have also given you the answers as well so you can see if they know what they’re talking about. 1Q. What are 2 factors that go into making a website SEO friendly? A. Website speed and being mobile friendly. 2Q. How do you measure success when it comes to SEO? A. Success is measured by not only the increase in online Google rankings but also by the increase in traffic numbers, that is, website visitors. Ideally, these numbers need to be growing month after month in conjunction with rankings. You also need to take into account customer conversion rates and what the consumer does when they land on your website. Do they buy from you, call you up or simply exit the site? 3Q. How do you stay updates with the latest Google changes? A. They should be using industry standard tools to measure Google algorithm activity as well as being very active on forums where other likeminded SEO people chat. 4Q. How often do you update clients? A. Most SEO companies will provide monthly reports and these are in most cases simply ranking reports without any other information – these are stock standard and this is the minimum that you should accept. At Hopping mad Designs we provide reports every 2 weeks and we will make serious recommendations on ways to improve your online profile, conversion rates and user experience. This is why we are so much better than the majority of other SEO agencies. 5Q. Where did you learn SEO? A. This is a good question as the person you are chatting to over the phone will most likely just be the suit or sales person. Not a good start! You need to be talking to an SEO professional with years of industry experience who has been through all the main Google Panda, Penguin changes. Anything less than 5 years on the job is simply not enough. Now I know this sounds harsh but when it comes to internet marketing, especially Google you need veterans working on your side. 6Q. What SEO tools do you use daily? A. If words like SEMrush, SEO moz, Google Analytics are not mentioned, hang up the phone quickly. 7Q. Who is Matt Cutts? A. He is the head of Google’s web spam team. 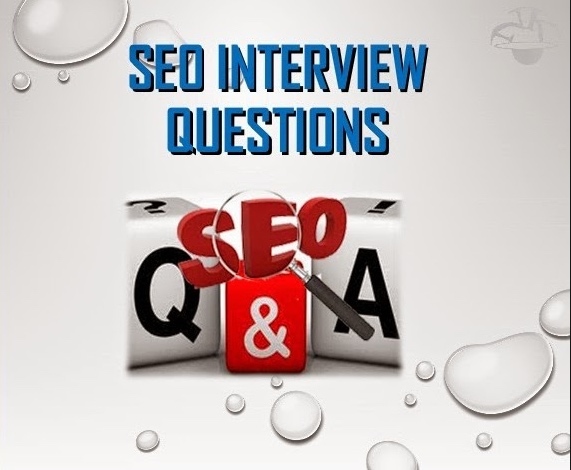 Essentially, he is God in the SEO world and your prospective SEO partner MUST answer this within a millisecond! 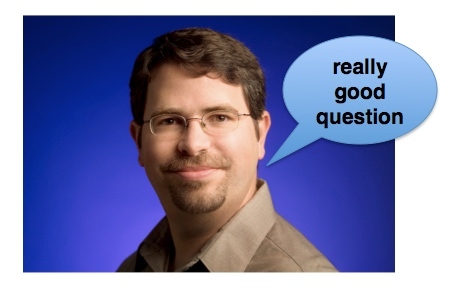 If your in SEO and you don’t know who Matt Cutts is you’re fake. BTW – see picture below of him just in case you were wondering. 8Q. What does Panda and Penguin mean and what are the differences? A. These are Google’s algorithmic changes designed to weed out spammy SEO agencies and techniques used to fraudulently manipulate rankings so common in the early days. Panda weeded out websites that had poor content or pages with thin poorly written content as well as pages that were trying to rank through stuffing as many keywords on it as possible. Penguin killed sites that had dodgy or over optimised back links. This is SEO 101 and they should be able to roll this off in a nanosecond – if they cant they are seriously bad! 9Q. How do you deal with Google penalties? A. By cleaning up the websites in bound links and on page copy. Most penalties are a result of dodgy link building carried out by bad SEO companies that do not have the faintest idea about SEO> All of these links need to be deleted. You can find out about these links through access to your web master tools account provided by Google. 10Q. How do you know if you have a Google penalty? A. Two ways: Google will advice you through your web master tools and your rankings will suddenly disappear. 11Q. What methods do you use to redirect a page? A. You need to be doing 301 redirects from old pages to new pages. This is common when you are launching a new website and you do now want to loose any value from the old site. Far too many SEO agencies ignore this and people wonder why their rankings have tanked when they launch a new site. 301’s prevent this from happening. 12Q. What is your approach to keyword research? A. Keyword research is based on using web tools to determine what keywords will bring in the highest number of website visitors. Many SEO companies will tell you they are targeting hundreds of keywords to impress you when in fact 90% of these are useless. Watch out for this sales tactic! 13Q. What is your opinion of link building? A. Many SEO agencies will say that link building is no longer relevant and that content is the key to ranking. This is total BS and the only SEO people spouting this dribble are those that cannot rank sites. They are generally copywriters with a huge lack of SEO knowledge. Link building and citations are seriously important when it comes to ranking on Google – take my word on this. 14Q. How long will it take to rank my website? A. If they tell you less than 90 days or you don’t have to pay or that kind of mumbo jumbo simply end the conversation. SEO takes time and if you do it properly (depending on the competitive nature of your keywords and industry niche) this could take up to a year. Many SEO people will not tell you the truth about this for fear that you wont sign up with them. Let’s be real hear most business owners want to hear that they will be on page 1 tomorrow or sooner – SEO agencies prey on this eagerness to rank and tell you they will be able to do this. WATCH OUT OR THIS MASSIVE LIE – they get many suckers this way. 15Q. What is the difference between web titles and descriptions? A. The title is what Google indexed and displays as the top line of the results (usually 50 characters long) – a description is the 2 lines of descriptive text underneath that gives the user more information about that web page. They both need to be written professionally by your SEO company as it will help with web rankings and conversion rates. 16Q. Can you clearly tell me 1 SEO success story. Where they were ranking before you started and where are they now PLUS how many hits are they getting a week/month? A. I will leave this one for them to answer – in our case the list is long – get in touch with us and I will be more than happy to tell you all about this and provide references. 17Q. What is the benefit of content marketing in relation to SEO? A. It helps but it’s not the silver bullet. Creating compelling content is great for you branding and establishing credibility BUT will not be the answer you are looking for to get you to page 1 of Google for you main keywords. If they go on about how effective content marketing is, they do not know what they are talking about! 18Q. What is the best speed for a website to load. A. Pretty self explanatory but it’s good to give them an easy one to answer – less than 2 seconds. Longer page loads will affect the user experience and in turn your rankings. 19Q. What’s the difference between SEO and SEM? A. Another easy one – SEO is search engine optimisation and SEM is search engine marketing or Adwords. 20Q. Why should I trust your SEO company? – their own fantastic organic Google rankings (THEY MUST NOT BE DOING ANY FORM OF PAID ADVERTISING) – if they are using Adwords to get to page 1 of Google avoid them – choosing SEO agencies that pay to be up there is a big mistake most business make when choosing an SEO company. Hope this helps but of you want any other help with your SEO or need any other advice please get in touch with me Steven at Hopping Mad Designs.